Experiential learning is a very important part of the many learning opportunities available at The University of Hong Kong. In collaboration with teaching staff, students and a range of units from across the university, The Centre for the Enhancement of Teaching and Learning has, on behalf of the Gallant Ho Experiential Learning Centre, developed a video resource pack to help HKU students prepare themselves for experiential learning. Preparing for Experiential Learning: a video resource pack is open to every student at The University of Hong Kong. Students are free to watch all or any of these modules or any combination of videos from across modules that they think will be relevant to their learning context. They can do so either on their own or with the supervision of their teachers. The topics covered in Preparing for Experiential Learning were selected on the basis of a review of experiential learning projects at HKU to date, and they have been tested through student surveys of their perceived usefulness to HKU students. In the thirty videos in the resource pack, students will hear a number of teachers and fellow students sharing their experiences of a wide range of experiential learning activities from their own distinct perspectives. They will also get advice from fellow students on the basis of the lessons these students have learnt while on experiential learning. Preparing for Experiential Learning consists of five separate modules. 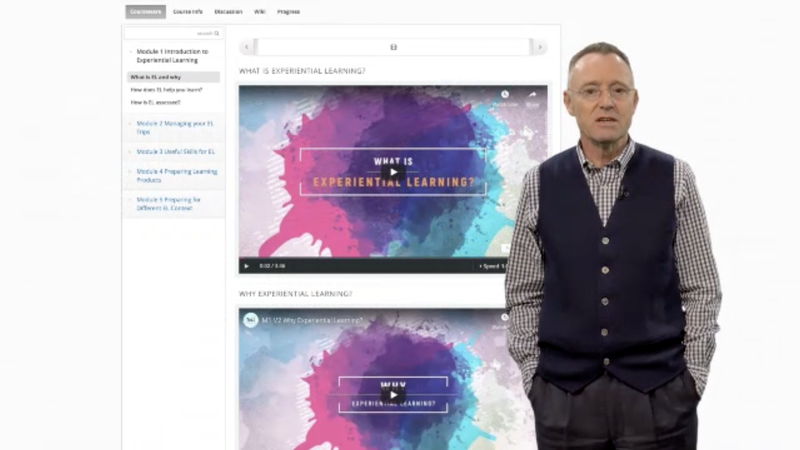 Module One contains videos that introduce students to what experiential learning is, how it helps them learn, and how they might be assessed during or after experiential learning. Module Two contains videos that help students manage their finances, logistical arrangements, personal safety, culture shock, and issues such as ethical photography during experiential learning. Module Three consists of videos to help students develop the interview skills, team working skills and communication skills they may need while undertaking experiential learning. Module Four contains video support for students to set about preparing learning products. Module Five consists of videos that help students decide on some of the key aspects to reflect on in any specific experiential learning context. This video resource pack could not have been produced without the funding support it received from the Gallant Ho Experiential Learning Fund and the time generously donated by a range of units (TELI, CEDARS, CAES, HKU Horizons, GHELC), and by teaching staff and students from across The University of Hong Kong. We should like to thank everyone for the support for this worthwhile project!